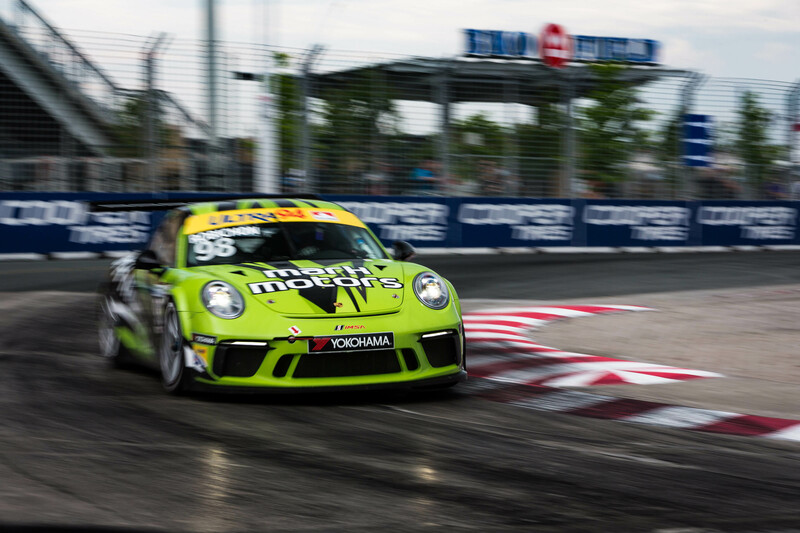 The Porsche GT3 Cup Challenge Canada was one of several support races taking part in the 2017 Honda Indy Toronto race weekend. 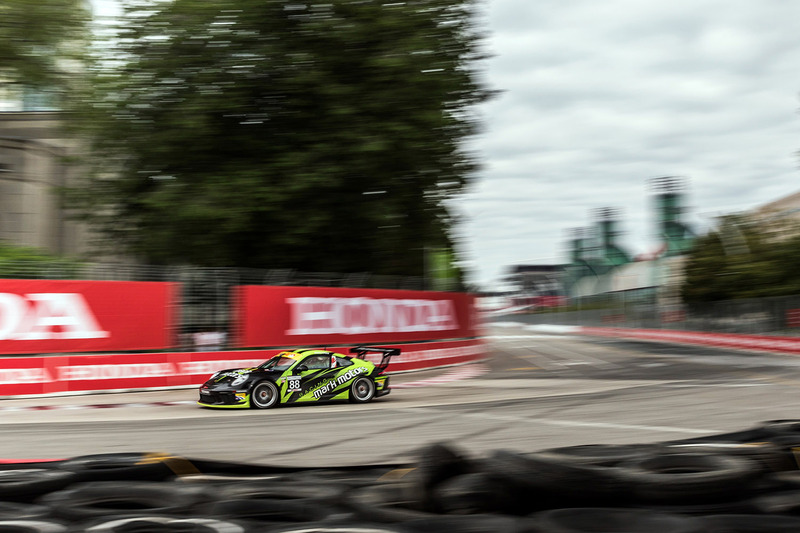 The other support races included the Mazda Global MX-5 Cup, NASCAR Pinty’s Series, US Formula 2000 and the Indy Lights, in addition to the headlining race, the Verizon IndyCar Series. The 2.8 km track around Exhibition Place is a notoriously bumpy mix of asphalt and concrete patches. This year, turn one proved to be even bumpier and tougher for the drivers to navigate. 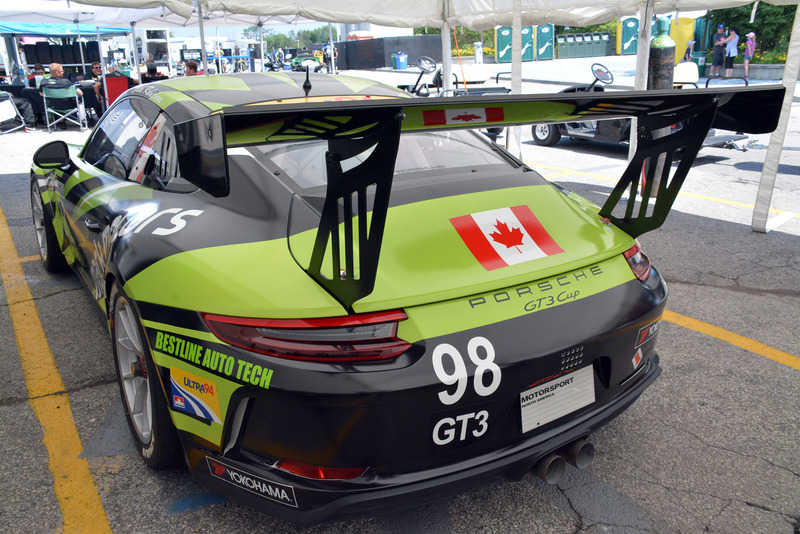 The Ultra 94 Porsche GT3 Cup Challenge Canada by Yokohama race series is comprised of spec built Porsche 911 GT3 Cup cars, which are powered by 485 hp 4.0 litre flat-six cylinder engines. That’s up 25 hp from the previous generation’s 460 hp 3.8 litre engine. The series consists of six race weekends and a total of twelve races. 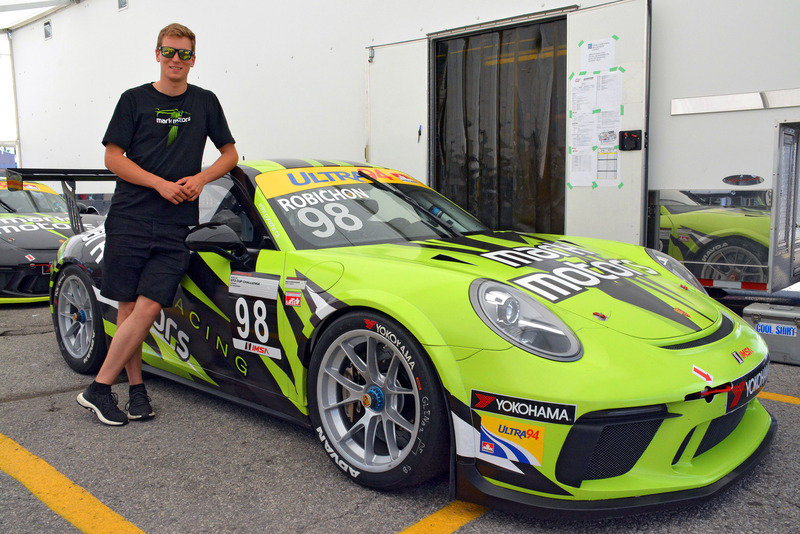 Five races into the season (one of the two races at Watkins Glen in New York State had to be cancelled due to a bad crash), Ottawa-native Zach Robichon is in second place in the Platinum Class Championship, behind Scott Hargrove from Tsawwassen, British Columbia. 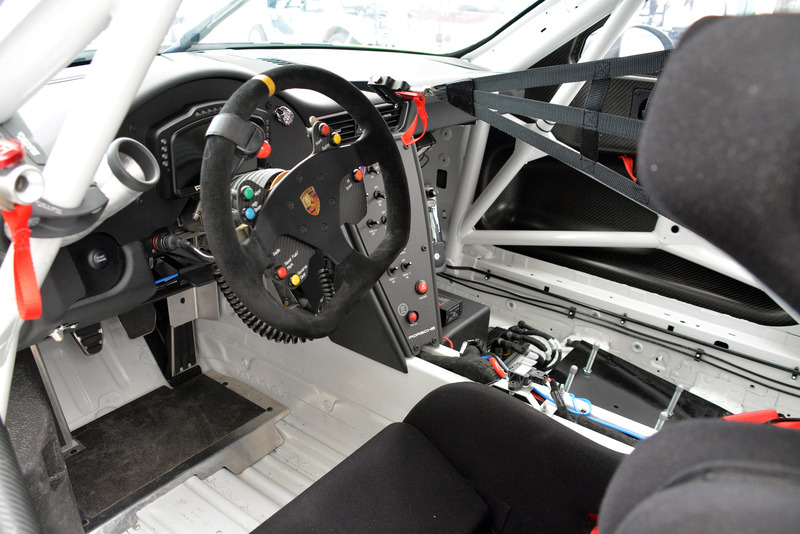 What is it like driving a Porsche 911 race car as fast as you can through the streets of Toronto? “It’s a lot of fun, it really is. It is very exhilarating, and tricky, because it is a street circuit”. 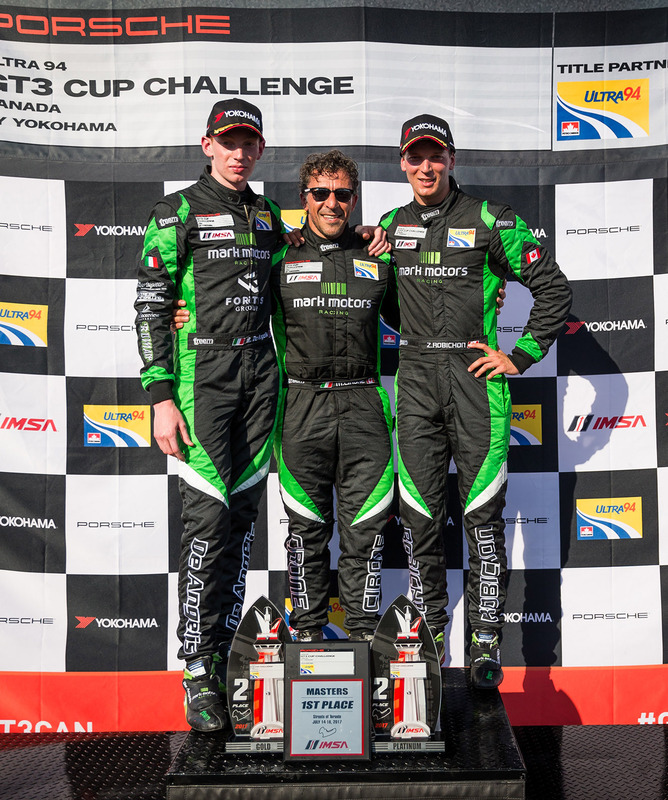 Zach Robichon finished second overall in both races and Marco Cirone finished first in class in both races. Robichon remains in second place in the Platinum Championship behind Scott Hargrove. Cirone is leading the Platinum Masters Championship. 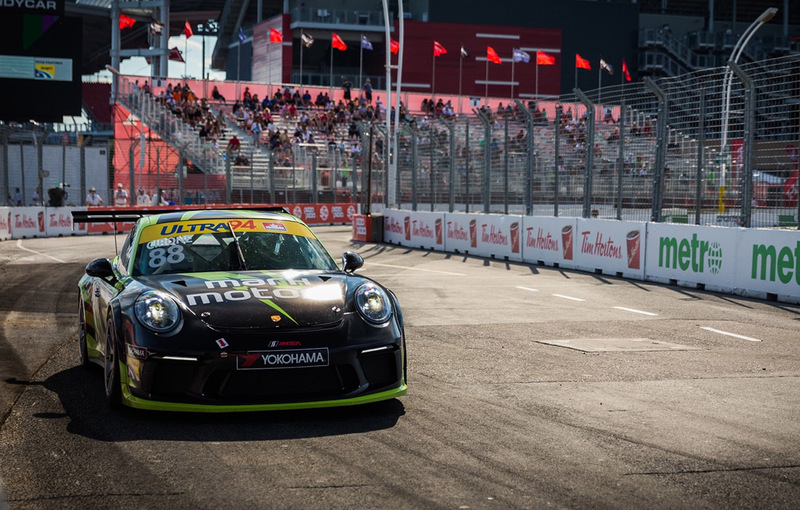 The next doubleheader race weekend for the Ultra 94 Porsche GT3 Cup Challenge Canada by Yokohama takes place August 11-13 at the Grand Prix du Trois-Rivieres in Trois-Rivieres, Quebec.